As the wild-child daughter of old family money, Georgina has never had to accept responsibility for anything. So when she realizes an unexpected life change could tie her down forever, she does exactly what she’s always done: escape. It’s unfortunate that in today’s age many women keep things they are struggling with a secret. The longer we keep secrets, the more likely they will fester inside, and secrets always have a way of coming out. Perhaps it’s because women are ashamed of them? Or don’t want to hurt someone’s feelings? Either way, they only hurt themselves in the long run. 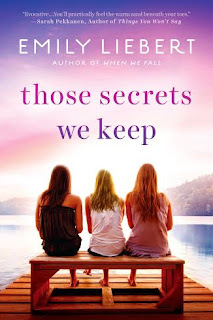 Each of the three main characters--Georgina, Sloane and Hillary--has a secret. These secrets are what shapes and defines each of their personalities. I liked how one of their story lines didn’t end wrapped up in a beautiful bow. It made it realistic in this manner. 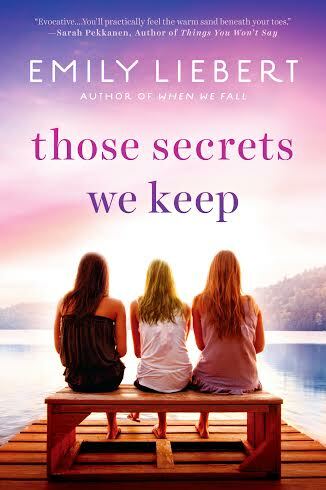 Those Secrets We Keep is a story about friendships, how precious they can be, and how if we don’t nurture them, they can be lost in an instant. A quick-paced, perfect beach read. Thanks to Goldberg McDuffie for the book in exchange for an honest review. 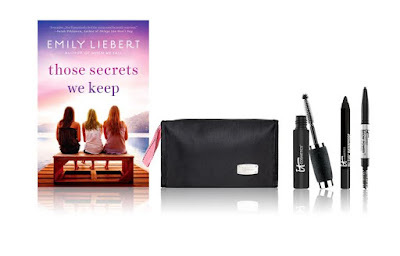 They have TWO copies of Those Secrets We Keep, along with two sets of Your Summer Secret Beauty Set from IT Cosmetics to give away to readers in the US and/or Canada! US/Canada only. Giveaway ends July 12th at midnight EST. If I told a secret, then it wouldn't be a secret anymore. My favorite beauty product would be lipgloss. I can't stand to not have any one. I have a really big secret that my family will be really excited about but I can't share it just yet! I also love lipgloss! I never read Gone With The Wind. I have been reading avidly since I was about 5. As a child, I knew my librarian better than I knew my parents. I probably had a book stashed under my wedding dress. What's even worse is that I own the book. It is sitting on my shelf even as we speak. I don't know why. I hear the gasps from here. Must have cosmetic items are Mascara, blush, and lip balm. Must have cosmetics are a light foundation and mascara. My secret is that I have secrets. But, please don't tell anyone. No secrets here. No cosmetics either except for lip gloss when I think of it. Sorry, it wouldn't be a secret if I spilled here. My daughter uses make-up for performances. I would love to give her some great products. I just use moisturizers and lipstick or balm. Lip gloss or lipstick is a must-have! My must have cosmetic is mascara. My must have beauty product is mascara, I have blonde eyelashes and without it I look like I have no lashes at all. My must have makeup in eyeliner! I have to have my eyebrow pencil! My eyebrows are so light it looks like I don't have any if I don't use my pencil. Scary!! My must have cosmetic item is lipstick! It brightens up your face. I always gave to have a good moisturizer. I don't have any secrets. My must-have cosmetics are mascara and lip gloss!